This is done by heavy industrial machines with heavy duty wire brushes. You can see both the machine and brushes below. 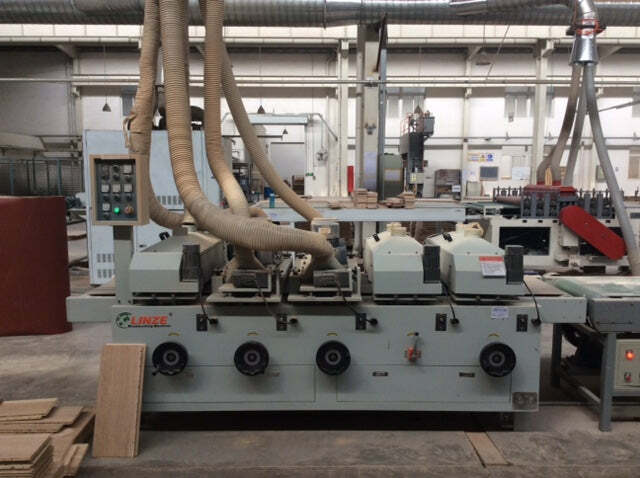 Here at the Solid Wood Flooring Company, we use two machines in tandem to ensure we remove the softer grain from the oak's surface. This gives the surface of the finished wood floor a texture and makes it look more natural. It also increases the wearability of the surface because the softer grain has been brushed out. 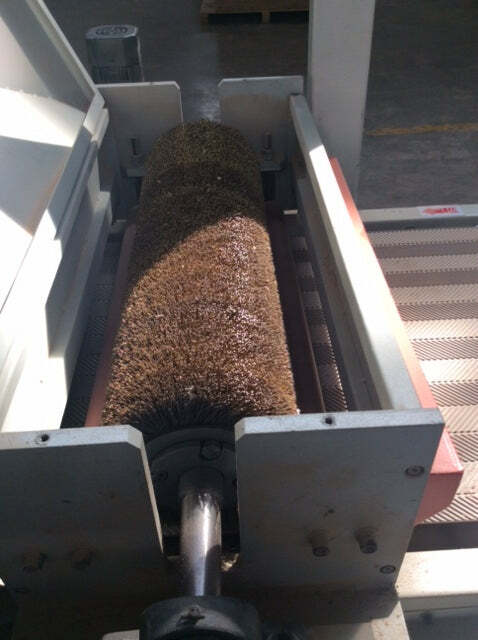 Brushing will increase the amount of oil a board will absorb and the picture above shows one of our machines with horizontal brushes as well as vertical to create different surface effects. The more oil the board absorbs the better it will wear in high traffic areas and it will also be more stain resistant. You can also see our brushing effect on the E956, and E352 and other boards. Here you can see the industrial brush, we have four of these on each machine for quick processing so our brushed boards will go through eight brushes to get the best effect. You can easily search our web site for brushed Oak wood flooring.